I’m joining one more challenge but this one runs through next year so that’s good. 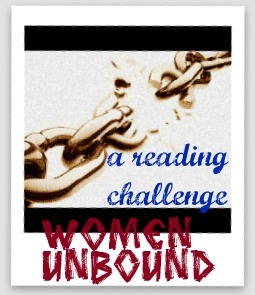 I have read a lot of books with the “Women Unbound” theme but mostly they have been memoirs. So I thought I’ll do a list for people who are interested. I have divided the list into 2 sections “read” and “to-read”. “to-read” will be my list for this challenge. This list is tentative; I read whatever I feel like at that moment. But so far I have these in mind. A Thousand Splendid Suns : It’s not exactly feminist fiction but it is about 2 women trying to survive in the most difficult of times. It also shows the relationship between Laila and Mariam beautifully. A great story of getting through the daily horrors that life offers and coming out of it with hope. Do They Hear You When You Cry by Fauziya Kassindja: I picked this book up because it was about an African girl and honestly I did not expect much from it, mostly because I had never heard of this book before. I ended up loving this book. It’s about a young girl who runs from her home and ends up in America as an illegal immigrant. 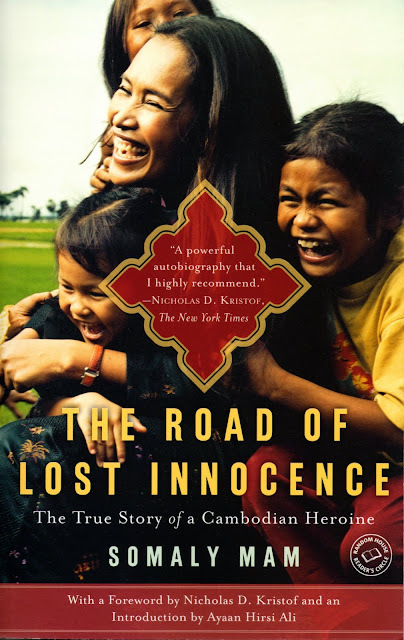 The story follows her struggle to stay in a foreign country and make them understand the difficulties and the dangers she would face if she is sent home. She also spends some time in the refuge prison. Turns out this was a landmark case in American Refugee history. Other than the fact that her story had to be told in whatever form possible, I also liked the way the book was written. It describes her life before she runs away from her home and also her life as a refugee in the U.S. This is a very heartfelt and a sad memoir but with lots of hope. I remember not liking something about the book but I really cannot recall what. Not Without My Daughter by Betty Mahmoody: One of my favorite books of all time. (From Amazon) Betty Lover met the perfect “dark stranger” in a Michigan hospital. Her Iranian therapist, Dr. Sayyed Bozorg Mahmoody, became her husband and the father of their daughter, Mahtob. Despite the vicissitudes of the Iran-U.S. hostage crisis, Betty and he flourished until their summer “vacation” in Iran in 1984. The next year and a half were a nightmare. Betty and Mahtob, held hostage by Mahmoody and his family, were subjected to Islamic fundamentalism, Persian nationalistic fanaticism, and a life of squalor. Mayada, Daughter of Iraq: One Woman’s Survival Under Saddam Hussein by Jean Sasson: Again an awesome book. I cried a lot while reading it. (From Amazon) in 1999, Mayada was arrested by Saddam Hussein’s secret police for allegedly printing anti-regime pamphlets in her Baghdad print shop and imprisoned for nearly a month in Iraq’s brutal Baladiyat Prison. Sasson’s candid, straightforward account of Mayada’s time among the 17 “shadow women” crammed into Cell 52 gives readers a glimpse of the cruelty and hardship endured by generations of Iraqis. Mayada stares down this ugliness as soon as she’s yanked from her meticulously run shop into the prison’s interrogation room: “She saw chairs with bindings, tables stacked high with various instruments of torture…. But the most frightening pieces of… equipment were the various hooks that dangled from the ceiling. When Mayada glanced to the floor beneath those hooks, she saw splashes of fresh blood, which she supposed were left over from the torture sessions she had heard during the night.” Almost all Jean Sasson books fall under this category. Wild Swans by Jung Chung: This is another great book that documents the life of 3 generations of Chinese Women-mother, daughter and grandmother, during the regime of Mao. It does get a little tedious and overbearing at times but over all it’s a very good book. If you were like me and didn’t know anything about the times of Mao, this book will provide lots of information. Review Link. Empress Orchid and The Last Empress by Anchee Min: These are 2 books in a series but you can read the first book without reading the second. These books chronicle the life of the last Empress of China as fictionalized by Anchee min. They are both great books imho. 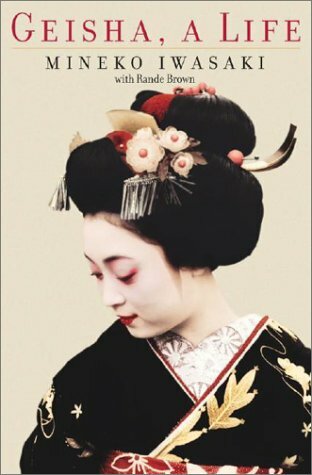 Here are my review links: Empress Orchid and The Last Empress of China. Abandoned by Anya Peters: This book is about sexual abuse. And seriously, the abuse scenes are so descriptive and detailed that I felt myself cringe a number of times. Her story is very heartbreaking. Anya Peters is a really good writer though. Read it only you can stomach such issues. The Color Purple by Alice Walker: I read this book long back and I don’t remember much about it other than the fact that I loved it. It did take some time to get into but it’s a great book if you like the writing style. Prisoner of Tehran by Marina Nemat: This is what I wrote about this book a few months back. “Marina shows amazing courage in the midst of all this chaos. It is difficult to believe that a person who has seen so much hatred and destruction in the name of Islam, to still have faith in God. But it is this faith that pulls her out of it all and keeps her sane. This book is a very sad reminder of what is or was happening around a certain part of the world when we were comfortably sleeping in our beds or going about our normal duties. Read this to know about a time and place so different from what most of us have lived and also marvel at the courage of a woman called Marina Nemat.” Read my review here. Cutting Loose by Nadine Dajani: Okay, this ones fiction and a little chicklit-ish but it does fall under this category. As I said about this book “As the story progresses, all three of them find the courage required to cut loose their ties from the past, enter into a whole new and challenging territory, leaving something that is painful but familiar behind”. It’s a classic tale of 3 women from different backgrounds who face problems similar to our own. That’s in fact what made me resonate with the novel more. It’s could be a tale of any 3 women. That’s about it I guess. How about you? Are you joining this challenge?